This morning at the Detroit International Auto Show, Subaru has officially unveiled the car that every enthusiast has been waiting for, the next-generation WRX STI. Unfortunately, it appears that Subaru has not fulfilled all the dreams of the Internet masses. The new car makes no major strides in terms of engine output or design, and a wagon variant is still nowhere to be found. What the latest STI forgoes in engine changes, it more than makes up for in chassis redesign. With a stiffer chassis and a new Active Torque Vectoring system, this latest STI should set a new a benchmark for how a bargain hoonmobile should handle. As an added bonus, the new STI looks to change perceptions on interior build quality and refinement. Does this new AWD rocket really have what it takes to make the faithful fans of this rally-bred machine happy? Updated 04/23/2015: Subaru announced prices for the 2016 WRX STI, which will arrive at dealers this summer. The model continues unchanged from the previous year, except the addition of the new STARLINK™ multimedia system. Continue reading to learn more about the Subaru WRX STI. The STI has always been a meaner looking version of the plebeian Impreza WRX, and this version is no different. While the overall profile is reminiscent of the base Impreza, the STI features unique doors, fenders, bumpers and hood. The hood is made from aluminum to reduce weight over the nose, and the large scoop that feeds the intercooler has been mounted deeper to improve forward visibility. The headlamp and taillamp assemblies are also bespoke to the STI. A full aerodynamic body kit is included and features a rear diffuser as well as a large rear wing; a signature feature for STI sedans. Other noticeable changes to the STI include mesh screened fender vents and a carbon-fiber look trim around the foglight assemblies. Interior quality has long been an issue for Subaru, but the 2015 STI looks to change that perception. The steering wheel is covered in leather and features controls for audio and Bluetooth. The sports bucket seats have leather bolsters and Alcantara inserts and feature red-contrast stitching. Soft touch materials can be found throughout the cabin on the dash, door panels and center console. The audio system has been upgraded to a six-speaker unit with HD radio and SiriusXM capability. The head unit can be replaced with a 6.1-inch LCD touchscreen navigation system. The STI will also be sold in a Limited trim level that adds leather seating, a power moonroof and a harman/kardon premium audio system. "If that sounds familiar, it is because it is the exact same engine that has been powering the STI since 2008." four that makes 305 horsepower and 290 pound-feet of torque. If that sounds familiar, it is because it is the exact same engine that has been powering the STI since 2008. 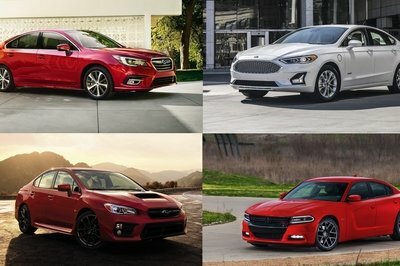 We feel that Subaru should have been able to make some sort of progress on this engine in the last seven years either in power output or economy. Instead, we have the exact same power output, and the exact same fuel economy as the third-generation cars. A mild jump in horsepower or efficiency would have been a welcome sight. A bespoke six-speed manual is the only transmission option. While it seems Subaru has skimped on the drivetrain, the chassis and handling abilities of the new STI should be leagues ahead of its predecessor. The actual chassis of the car has been stiffened dramatically and the spring rates have been firmed up to provide a sharper on-road feel. The steering rack has also been tightened up and now features a fast 13:1 ratio. The advanced AWD system has been enhanced with a new Active Torque Vectoring system that can apply brake pressure to individual wheels to create a more neutral feeling through corners. 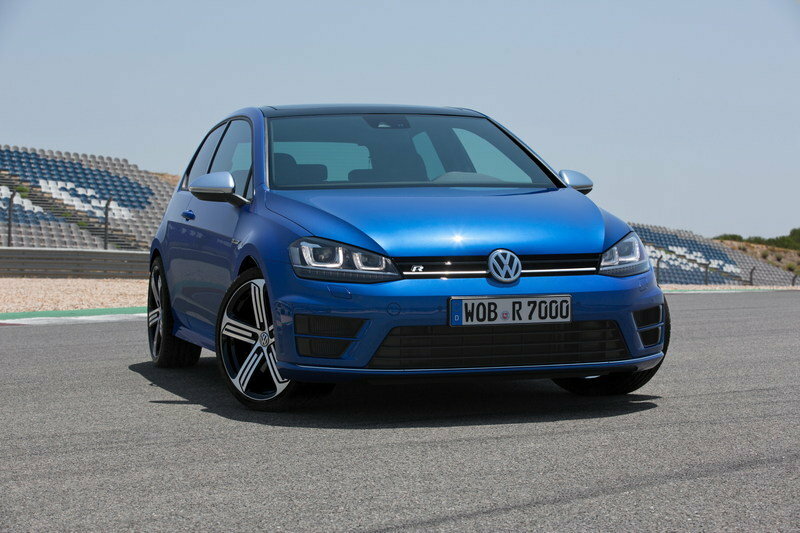 With the new-generation Volkswagen Golf R coming to market, the new STI will be facing some stiff competition. The Golf R will easily beat the new Subaru in interior quality and refinement, but likely wont be as fast down a gravel or mud-caked road. The truest competitor to the STI has always been the Evo. Built with the same rally-racing pedigree as the STI, the Evo is a sharp-handling, AWD monster. 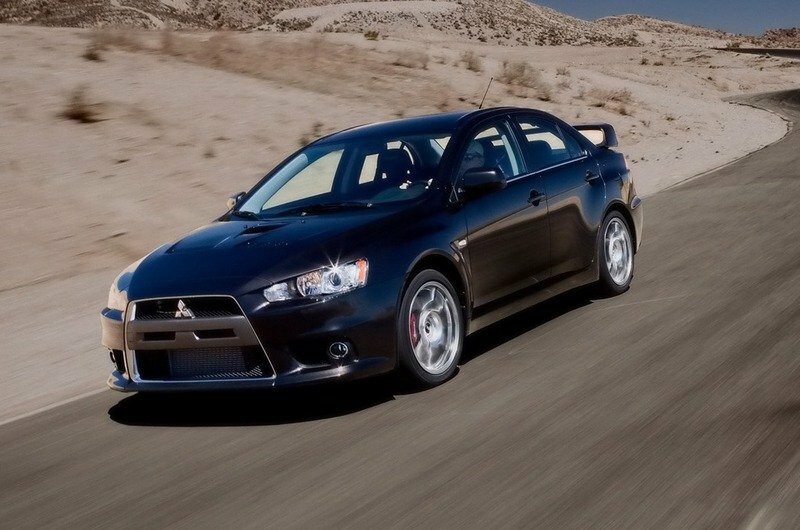 The Subaru holds a pricing edge over the Evo, but the Mitsubishi is the better driver’s car. 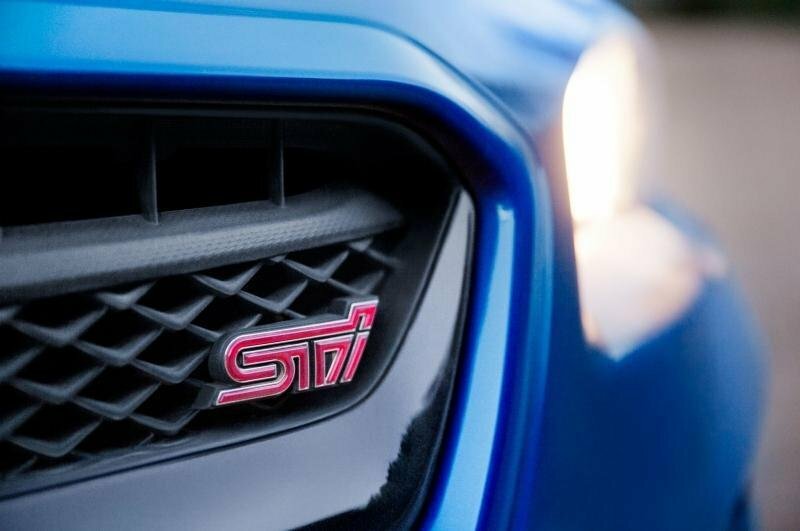 A model that is also gaining lots of traction in the sports market is the Focus ST. 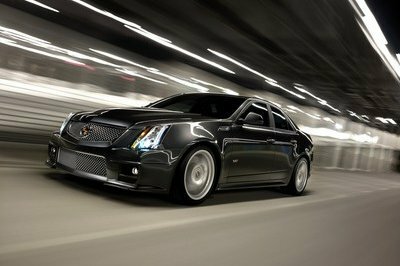 The model is powered by a 2.0-liter turbocharged engine that delivers a total of 252 horsepower and 270 pound-feet of torque. 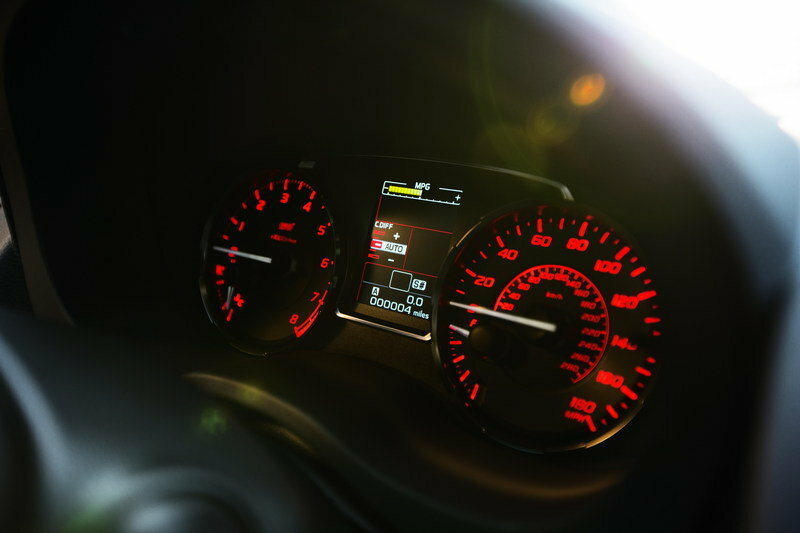 With this amount of power, the Focus ST can sprint from 0 to 60 mph in 5.9 seconds and up to a top speed of 155 mph. Sure, it’s nowhere near as fast as the STI, but its price point and ability to haul cargo are huge selling points. 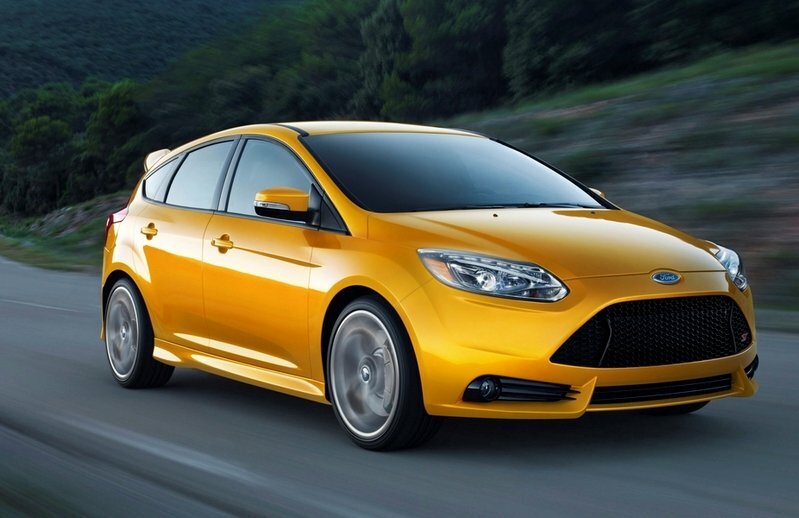 The 2014 Focus ST is priced from $24,115. The new STI has a new exterior with an ancient drivetrain. The revised handling may be enough to make the newest STI a great drive, but it will be hard to ignore the fact that it using an engine that has been essentially unchanged for the better part of a decade. Powertrain aside, the new STI looks to be a menacing continuation of the Subaru saga. No surprises here, as the new STI is basically a standard WRX with a more race-ready appearance. The WRX STI features a World Rally Blue exterior hue with golden alloy wheels. On the rear, there is a larger wing to help improve stability at high speeds. Also included is a red "STI" logo on the grille will remind you this is no ordinary WRX. 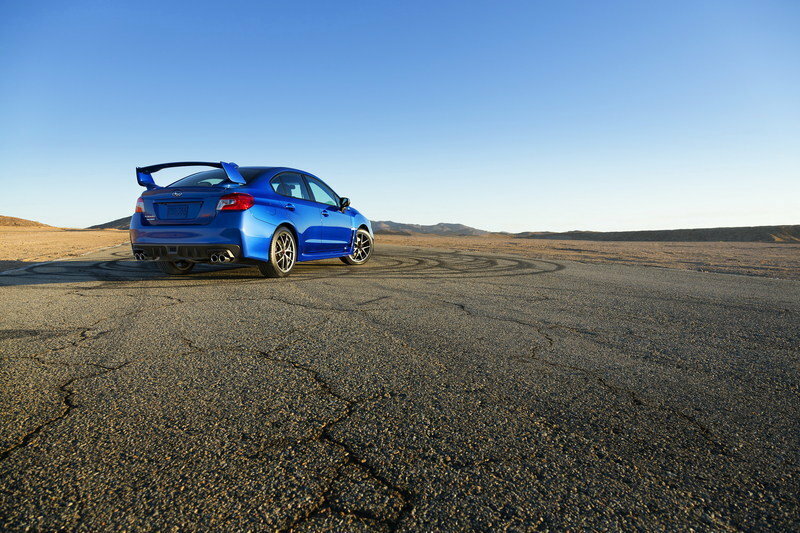 Updated 01/16/2014: Subaru unveiled a new video (above) that gives you an in-depth look at the 2015 WRX STI. Enjoy! Updated 02/14/2014: Subaru announced today prices for the new WRX STI that will be put on sale this spring at a starting price of $34,495. 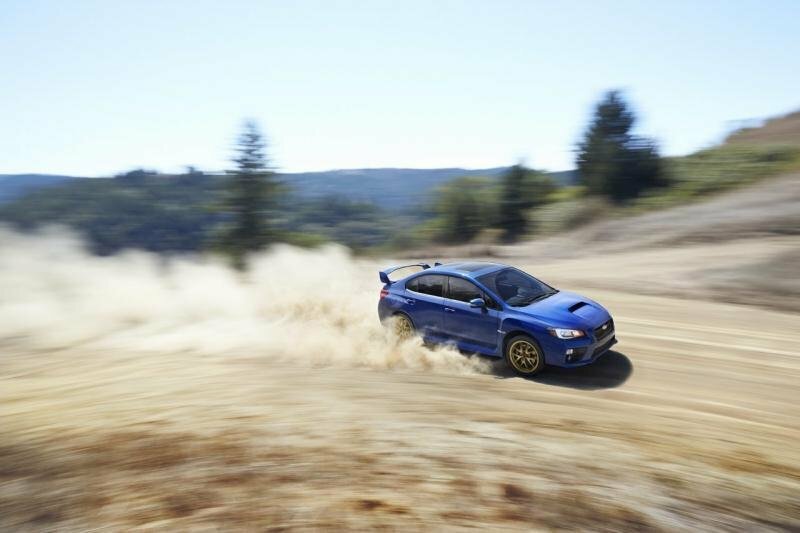 Updated 04/11/2014: Subaru unveiled a new set of images for the 2015 WRX STI. Check the picture gallery to find them. Updated 04/30/2014: Subaru unveiled a new video showing four-time WRC Champ Tommi Mäkinen behind the wheel of the new WRX STI. DETROIT, Jan. 14, 2014 – Subaru of America, Inc. today introduced the all-new 2015 WRX STI, Subaru’s iconic performance flagship model, at the North American International Auto Show. Subaru will offer a WRX STI Launch Edition, limited to 1,000 units and exclusively featuring WR Blue paint and gold BBS® forged alloy wheels and unique interior trim. Powered by the legendary 305-horsepower 2.5-liter turbocharged BOXER engine, the 2015 WRX STI debuts a new four-door wide-body design, built on a stiffer chassis for even greater handling agility and precision. The WRX STI provides a rally-bred drivetrain and all-wheel drive handling that is unique to this model. 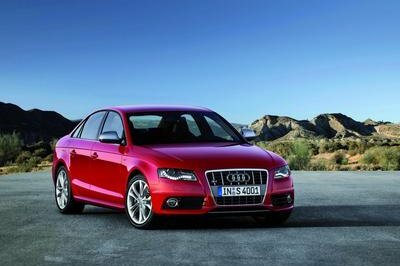 Handling is enhanced with a stiffer chassis, firmer springs and faster steering (13.0:1 ratio). New for the 2015 WRX STI, Active Torque Vectoring joins an arsenal of the model’s proven handling technologies that includes Multi-Mode Driver Controlled Center Differential (DCCD) Symmetrical All-Wheel Drive, Multi-Mode Vehicle Dynamics Control, and a Brembo® Performance Brake System with Super Sport ABS. The 2015 WRX STI carries its bold personality inside, where new Alcantara seating surfaces accented by red and black leather bolsters and red stitching set the tone for the upgraded and roomier cabin. A driver-focused interior remains integral to the WRX STI performance character, with the new model debuting a motorsports-inspired flat-bottom steering wheel and new whiplash-reducing performance-design front seats with height and tilt-adjustable head restraints. A wide array of new user technologies include, for the first time in a WRX STI, availability of a harman/kardon® premium audio system. A bolder front design makes the 2015 WRX STI look ready to devour the road. 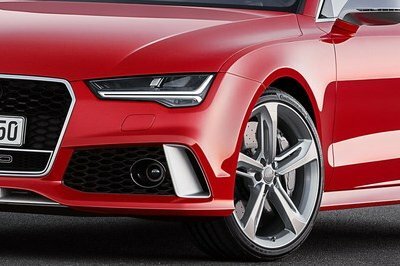 The “nose-cone” configuration combines the grille and bumper cap into one unit ahead of the hood, which for the 2015 model is made from aluminum to reduce weight over the front of the car. Narrower headlights, designed to evoke a raptor’s stare, flank the Subaru hexagonal grille. 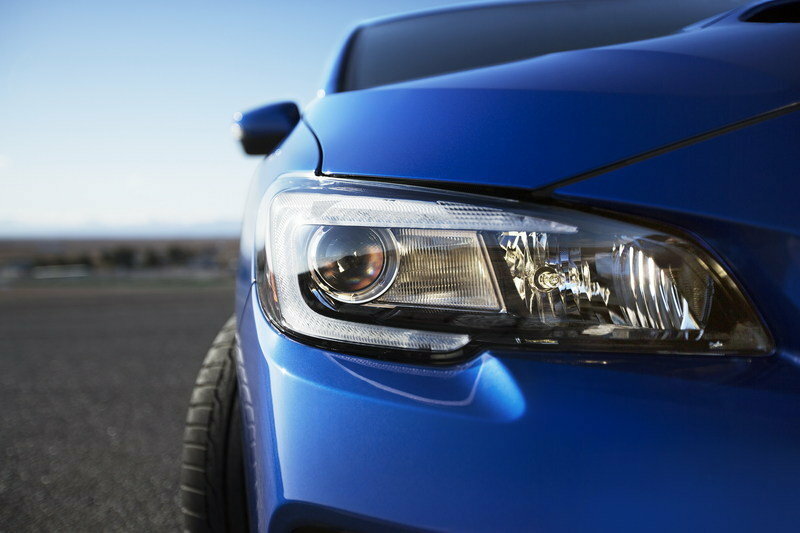 It’s a more powerful stare thanks to new standard LED low-beam headlights. The special hood, fenders, doors and quarters, bumpers, headlights and taillight clusters convey the WRX STI identity. 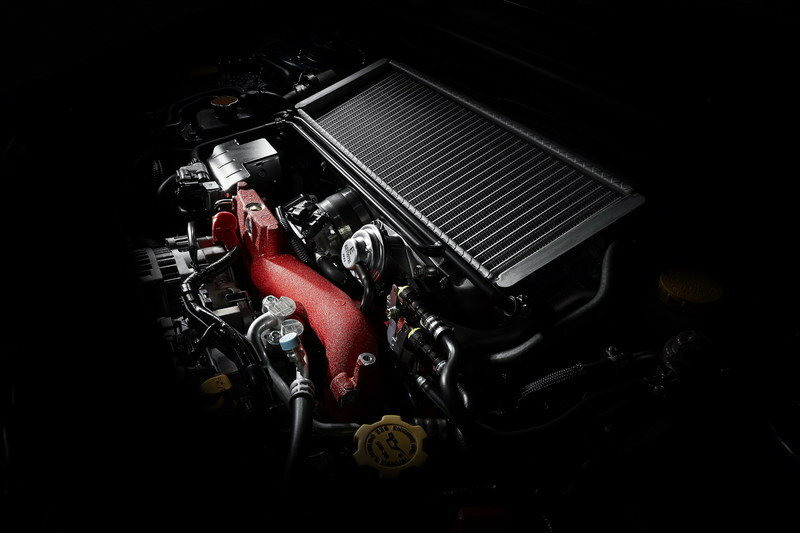 As on previous WRX STI models, a functional hood scoop supplies the intercooler with fresh air, and in the 2015 model it is set more deeply into the hood to provide better forward visibility. Other new performance-oriented details include foglight surrounds with a carbon fiber-like pattern and front fender vents that feature a mesh screen. 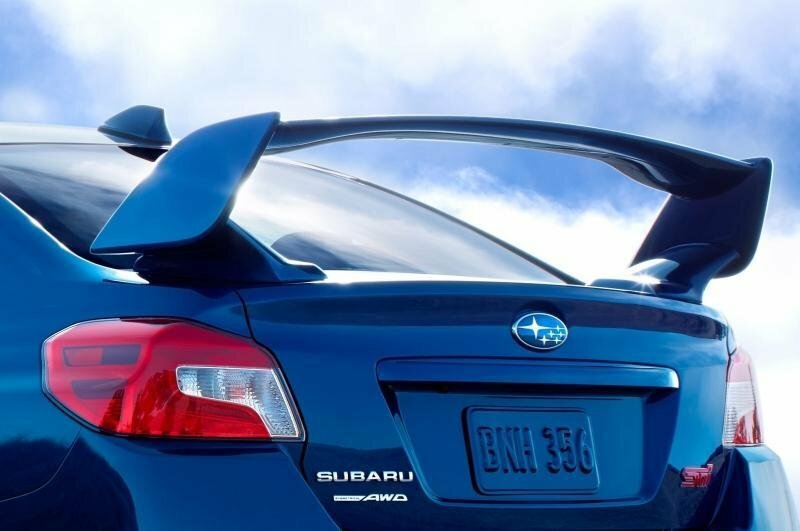 A full aerodynamic body package includes the large trunk spoiler that has been a WRX STI signature feature. A rear diffuser, LED taillights and LED center high-mount stop lamp (CHMSL) leave a distinctive signature. 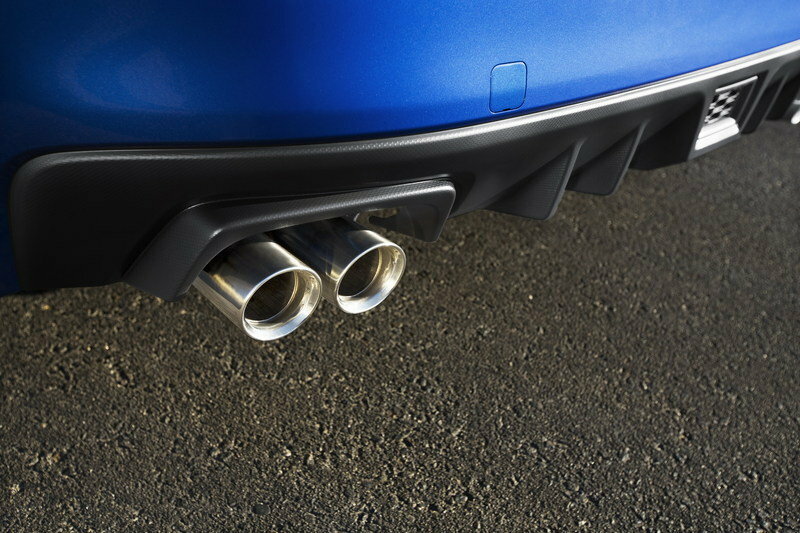 The 2015 WRX STI body structure makes greater use of high-tensile steel than the previous model and features special stiffening elements at key locations. 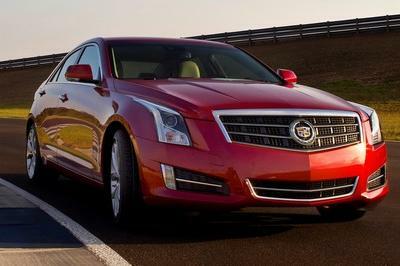 The stiffer chassis helps yield a super-quick steering response that was benchmarked against top-handling sports cars. 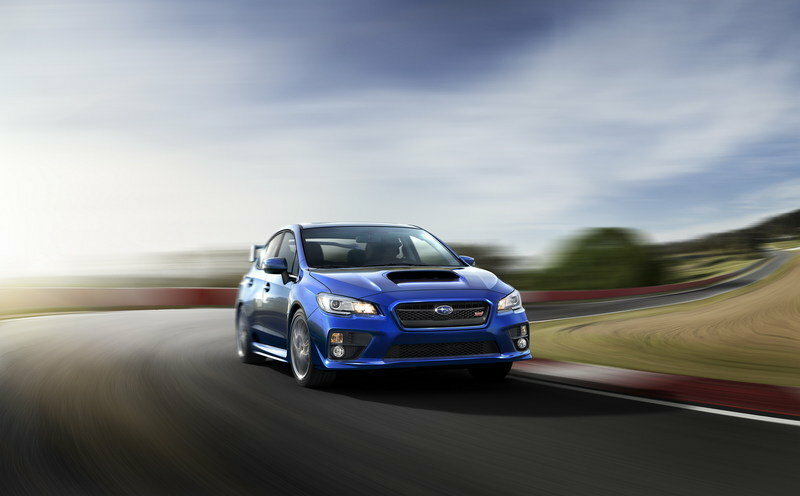 The 13.0:1 steering ratio provides a quick 2.5 turns lock-to-lock compared to 14.5:1 and 2.8 for the standard WRX model. 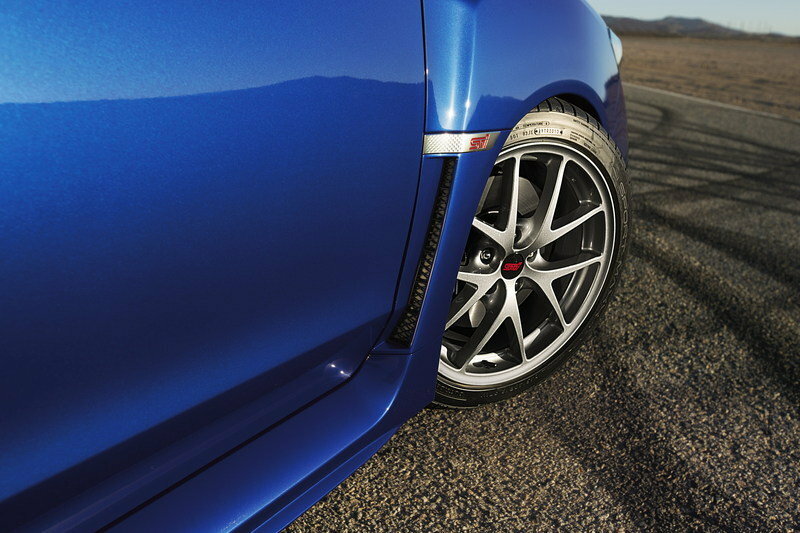 As on previous WRX STI models, the 2015 version uses an exclusive inverted-strut front suspension system that provides higher levels of cornering agility. Aluminum front lower L-arms reduce unsprung vehicle weight. The STI-tuned suspension teams with standard 18-inch wheels and 245/40R18 summer performance tires, with the WRX STI Launch Edition and WRX STI Limited models featuring BBS® forged aluminum-alloy wheels. The 2015 WRX STI is powered by a 2.5-liter turbocharged/intercooled 4-cylinder BOXER engine that employs the Dual Active Valve Control System (Dual AVCS). The engine, which is exclusive to the STI model, produces 305 horsepower (SAE) at 6,000 rpm and 290 lb.-ft. of peak torque at 4,000 rpm. The WRX STI engine is teamed exclusively with a specially reinforced 6-speed manual transmission, which includes an STI short-throw shifter in the Launch Edition model. Incline Start Assist can momentarily prevent the car from rolling backward when being driven away from a stop on an incline. 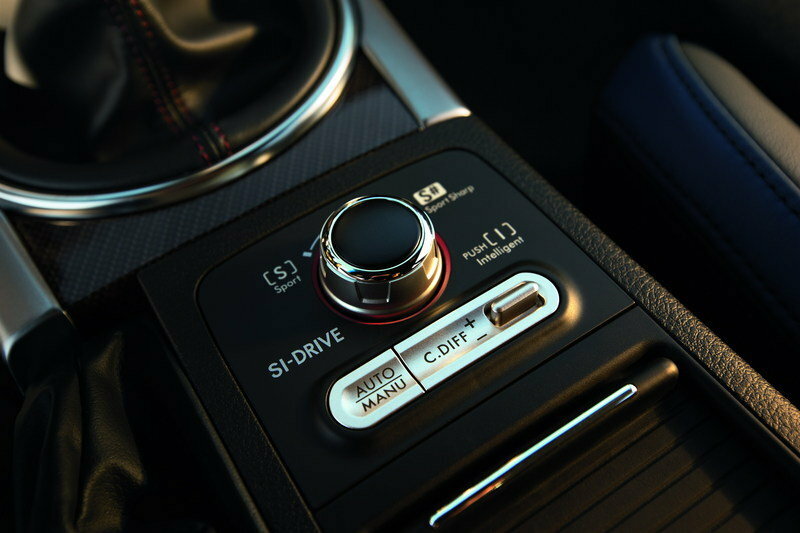 The Subaru Intelligent Drive (SI-DRIVE) powertrain management system allows the driver to tailor the car’s driving characteristics by choosing from among three selectable modes – “Intelligent,” “Sport” and “Sport Sharp” – using a rotary dial on the center console. SI-DRIVE alters vehicle performance characteristics by regulating the engine control module and by fine-tuning the electronic throttle control system. The 2015 WRX STI is exclusively equipped with the Multi-Mode Driver Controlled Center Differential (DCCD) version of Subaru Symmetrical All-Wheel Drive. This sophisticated system uses planetary-type center differential gears with a nominal 41:59 torque split. A mechanical limited-slip type center differential augments an electronically controlled center differential to enhance torque transfer performance. Sensor inputs that include steering angle, throttle position, RPM, lateral-g, yaw, brake, ABS and wheel speed govern torque transfer response. 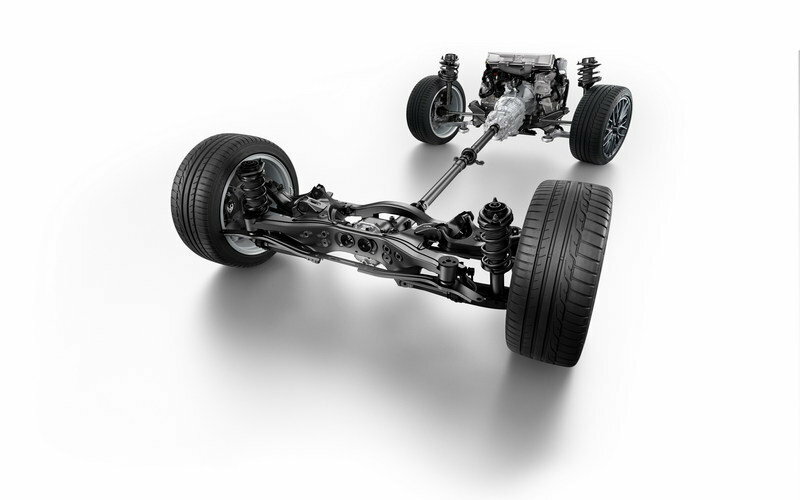 A helical-type limited-slip front differential and a TORSEN® torque-sensing limited-slip rear differential optimize side-to-side torque distribution. The DCCD AWD system features three automatic modes, each using varying degrees of center differential locking to match different driving situations. In manual mode, the driver can select one of six center differential locking levels to suit the driving situation. Active Torque Vectoring, an enhancement of the Multi-Mode Vehicle Dynamics Control (VDC) stability and traction control system, can apply brake pressure to the inside front wheel to facilitate more neutral cornering. The VDC system offers yet more driver choices, with three settings: “VDC Normal,” “Traction” and “Off.” Each provides respectively lesser degrees of system engagement, allowing the driver to tailor response for the driving situation. Active Torque Vectoring remains engaged for “Normal” and “Traction” modes. A one-inch longer wheelbase than the previous WRX STI helps provide a roomier cabin in the new model. The windshield is more raked than before, with the A-pillar pulled forward nearly eight inches at the base for better forward visibility, aided by a lower dashboard and narrower A-pillars. Lower side sills and wider-opening doors make ingress/egress easier. Rear seat legroom is increased by nearly two inches, and trunk capacity is now 12 cu. ft., up from 11.3 cu. ft. in the previous WRX STI sedan. A standard 60/40-split fold-down rear seat extends versatility. New available Welcome Lighting responds to the driver approaching the car. Rich-looking appointments and details abound, including soft-touch materials for the dashboard, door trim and center console armrest. A new multi-information central display with 4.3-in. LCD screen provides a multitude of vehicle system functions, including a standard rear camera display, a boost gauge display, audio (on non-navigation models), Bluetooth and climate control settings, and a VDC screen showing traction control operation. The display can also provide a vehicle self-check and maintenance reminder. Standard features for the 2015 WRX STI include dual-zone automatic climate control and the All-Weather Package (dual-mode heated front seats, heated exterior mirrors and windshield wiper de-icer). The new standard audio system combines AM/FM stereo with HD Radio®, a single-disc in-dash CD player, 6 speakers, MP3/WMA capability, Radio Data Broadcast System (RDBS), Bluetooth hands-free calling and audio streaming, iPod® control capability, iTunes® Tagging, SiriusXM® Satellite Radio (subscription required), USB port and a 3.5mm auxiliary audio input jack. Numerous compartments located in and around the center console hold phones, USB drives and MP3 players. An available touch-screen navigation system displays on a 6.1-inch LCD screen and offers voice controls. The WRX STI Limited model adds the luxury of leather-trimmed upholstery, an 8-way power driver’s seat, the harman/kardon premium audio system and a power moonroof that opens one inch farther than on the previous model. Subaru’s renowned safety package uses the brand’s proven Ring-shaped Reinforcement Frame body structure, which has been shown to excel in the new small overlap test by the Insurance Institute for Highway Safety (IIHS). In the cabin, a driver’s knee airbag is added to the roster of safety features that includes front side pelvis/torso airbags and side curtain airbags that offer front and rear outboard seat coverage.